For every bowl of pasta, there is a great sauce. 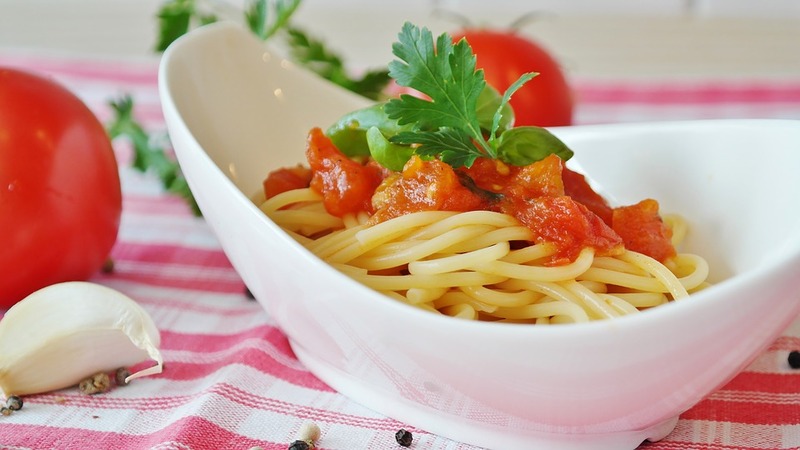 Most people when thinking of pasta sauce, usually, tomato-based sauces is what comes to their mind. You can use canned tomatoes or finely chopped fresh tomatoes. Take the tomatoes and mix right into your vegetable mixture, make sure you do not drain the tomato juice. Some people prefer squished chunked tomatoes while others like the ones that are not. You should let your sauce simmer for long, it can even be the whole day if you can make the heat low. One-three hours is good enough, but make sure it is simmering and not boiling. No one will be impressed when you serve them pasta with burnt-flavoured pasta sauce. You should feel free to taste your sauce at intervals of 30 minutes and add spices if it is necessary. Pesto – It’s a sauce that originated in Genoa, Liguria capital city, in Italy. The key to making a great pesto is chopping instead of blending. If you are thinking of store-bought pesto, you should not. You are better off with a different pasta dish. The key ingredients of pesto consist of fresh basil leaves, olive oil, Pecorino Sardo (cheese that is made from sheep’s milk), Parmigiano-Reggiano (Parmesan cheese), raw European pine nuts, garlic and coarse salt. Béchamel Sauce – It’s also called the white sauce and prepared from a white roux (flour and butter). Since the seventeenth century, Béchamel Sauce has been regarded as one of the French cuisine’s mother sauces. It’s used as the base for various sauces like Mornay sauce (Béchamel with cheese). Since the main ingredients in Béchamel are flour, milk and butter, it is clearly not on the approved pasta dishes list for dieters. You can season it with onions or garlic if you like; try a little nutmeg as well. Carbonara Sauce – If you are looking for a simple sauce, this is a perfect choice. Mix cream, raw eggs and bits of bacon; stir the mixture with pasta that is freshly cooked. The pasta will cook the eggs as you are stirring. Carbonara is perfect over linguine or spaghetti. If you are scared of salmonella, heat the sauce for a short period before pouring it over your pasta. Alfredo Sauce – It’s a close relative of the white sauce, but the cream is slightly heavier. The key to making a good, delicious Alfredo sauce is grated cheese. You should use Parmesan (an Italian hard, granular cheese).